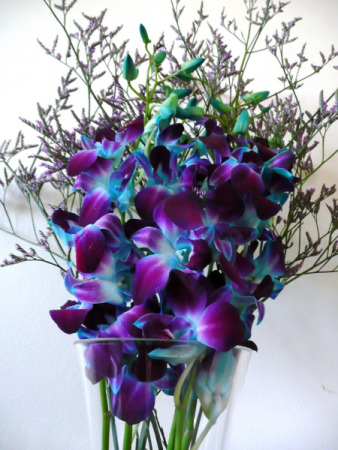 Blue Orchid Smile in Oliver, BC - Flower Fantasy & Gifts Inc.
Oliver FLORIST - Flower Fantasy & Gifts Inc.
Reach for the sky with this fragrant and colorful mix of roses, carnations and mixed blooms that's almost two feet tall! 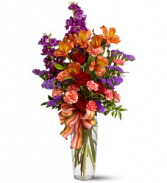 A showy, striped satin ribbon adorns this pretty, well-priced bouquet that's sure to impress. 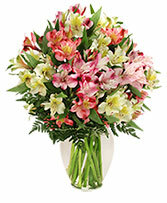 For a birthday, congratulations or just because. 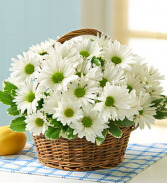 Daisies & greens placed inside a whicker basket. Beautiful counter or desktop display.